On the 15th (Mon), take in the spiritual surroundings of Neeb Karori Kainchi Dham. 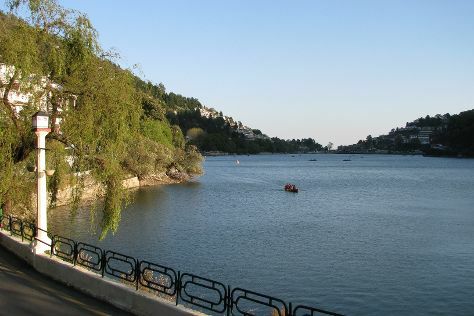 Before you visit Nainital, use our trip planner to discover what you can do and see there. Pune to Nainital is an approximately 6.5-hour combination of flight and taxi. You can also drive; or do a combination of train and taxi. Cap off your sightseeing on the 16th (Tue) early enough to travel to Badrinath. Badrinath is a holy town and a nagar panchayat in Chamoli district in the state of Uttarakhand, India. Get a sense of the local culture at Bheem Pul and Tapt Kund. Escape the urban bustle at Valley of Flowers National Park and Valley of flowers - Hemkunt Sahib. When in Badrinath, make a side trip to see Hemkund Sahib in Chamoli, approximately 1h 05 min away. There's more to do: take in the spiritual surroundings of Brahma Kapal. To find ratings, where to stay, photos, and tourist information, you can read our Badrinath trip planner . Getting from Nainital to Badrinath by car takes about 10 hours. Finish your sightseeing early on the 19th (Fri) so you can travel to Kedarnath. Kedarnath is a town located in the Indian state of Uttarakhand and has gained importance because of Kedarnath Temple. On the 20th (Sat), go for a walk through Shri Kedarnath, then pause for some photo ops at Shankaracharya Samadhi, and then contemplate in the serene atmosphere at Kedarnath Mandir. Inspirock's itinerary builder makes planning a Kedarnath trip simple and quick. Explore your travel options from Badrinath to Kedarnath with the Route module. Wrap up your sightseeing on the 20th (Sat) early enough to travel to Rishikesh. On the 21st (Sun), take in the spiritual surroundings of Sri Venkateswara Swamy Temple, then get outside with Outdoor Activities, and then indulge in some personalized pampering at some of the best spas. Plan my day in Rishikesh using traveler tips and tourist information provided by Inspirock. Use the Route module to find suitable travel options from Kedarnath to Rishikesh. Wrap up your sightseeing on the 21st (Sun) to allow time to travel back home.